- Upgraded armor hand guards for pro rider use. - Comes with durable plastic bumpers to protect the armor hand guard body. - Comes with durable longer bar end adapters which holds the handlebars tighter. of hand guards in the event of a fall. 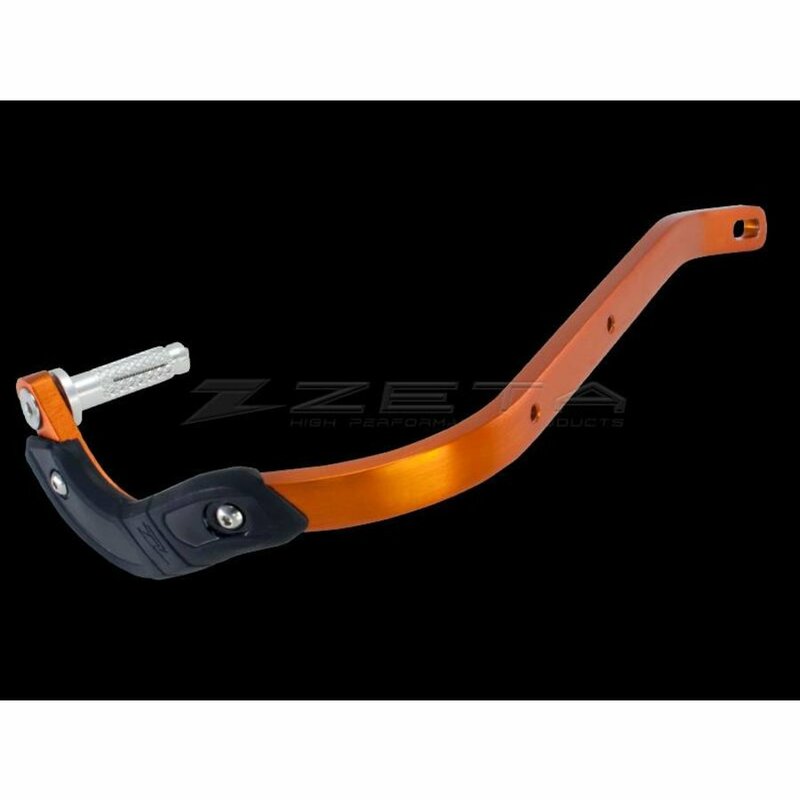 - Can be used with Zeta hand guard mount kits: side, front and BC type, for durable fitting. - Available in Titanium, black and orange anodized colors. 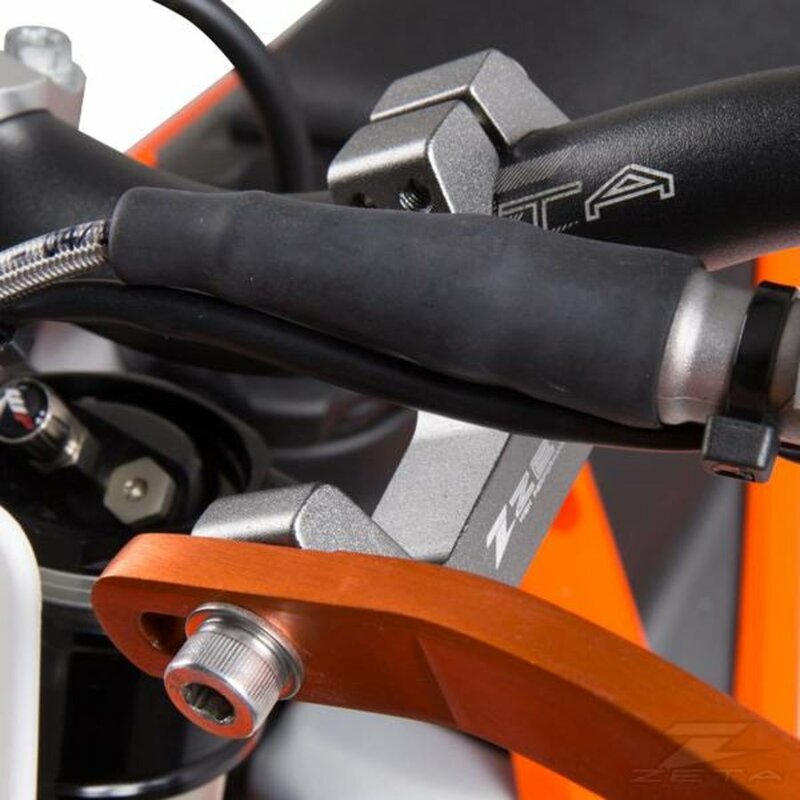 - Replacement hand guard bumpers and bar end adapters are available.